1. Birch D. L. (1979) The Job Generation Process / Cambridge, MA: MIT Program on Neighborhood and Regional Change. 2. High-Growth Enterprises: What Governments Can Do to Make a Difference (2010) OECD Publishing. http://www.oecd-ilibrary. o r g / i n d u s t r y - a n d - s e r v i c e s / h i g h - g r o w t henterprises_9789264048782-en. 3. Addressing challenges for high-growth companies. Summary and conclusions of the Europe INNOVA gazelles innovation panel // Europe INNOVA paper № 6. 4. Mitusch K., Schimke A. (2011) Gazelles-High-Growth Companies Final report. Task 4 // Horizontal Report, 5. 5. Yudanov A. (2011) The second half modernization // Expert. № 20. 6. Top 50 of the ranking TechUp – 2013 (2013) / TechUp. http://www.ratingtechup.ru/rate/2013. 7. Zemtsov S. P., Barinova V. A., Sorokina A. V. (2014) How does the internal and external conditions affect the innovative fast-growing businesses in Russia? // Trajectory of growth and structural transformation of the global economy in the face of international instability: collective monograph / Ed. SA Balashova, VM Matyushko. M .: People’s Friendship University. 8. Barinova V. A., Zemtsov S. P. Sorokina A. V. (2015) An empirical analysis of the factors of competitiveness of domestic high-tech companies. M.: RANEPA. 9. Barinova V. A., Bortnik I. M., Zemtsov S. P., Sorokina A. V., Infimovskaya S. Y. (2015) The analysis of factors of competitiveness of domestic high-tech companies // Innovation. № 3 (197). P. 25–31. 10. Mohnen P., Hall B. (2013) Innovation and productivity: An update. – Maastricht Economic and social Research institute on Innovation and Technology, Maastricht, № 2013–021. 11. J. Browne, B. Roantree. (2012) A survey of the UK tax system / IFS Briefing Note BN09. Institute for Fiscal Studies. P. 28. 12. G. Idrisov, Taganov B. V. (2015) Attracting foreign direct investment as a tool to accelerate the growth ekonomichkogo. What is worth considering? // Russian External Economic Bulletin. № 1. P. 18. 13. 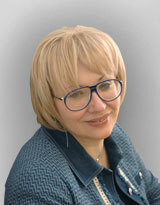 O. Berezinskaya A. Vedev. (2015) Production dependence on imports of Russian industry and the mechanism of the strategic import // Problems of Economics. № 1. P. 114–115. БАРИНОВА В.А., ЗЕМЦОВ С.П., СОРОКИНА А.В. Инновационная деятельность быстрорастущих компаний как условие по вышения их конкурентоспособности. Экономика науки. 2015;1(3):175-179.